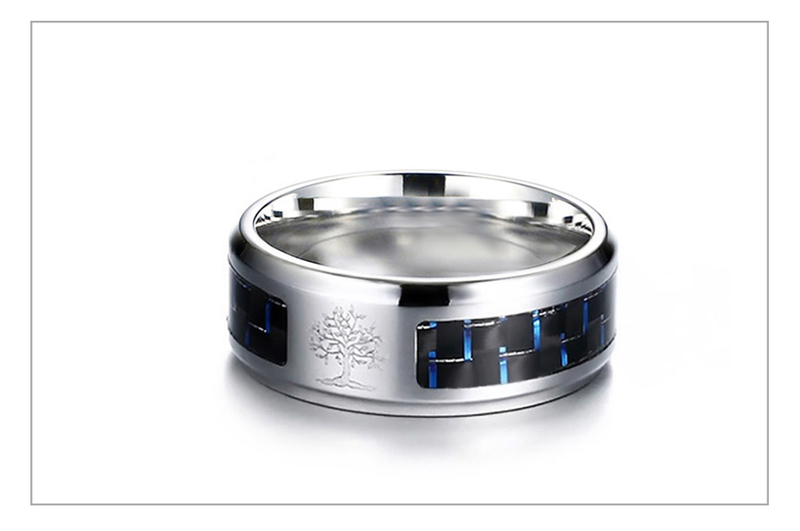 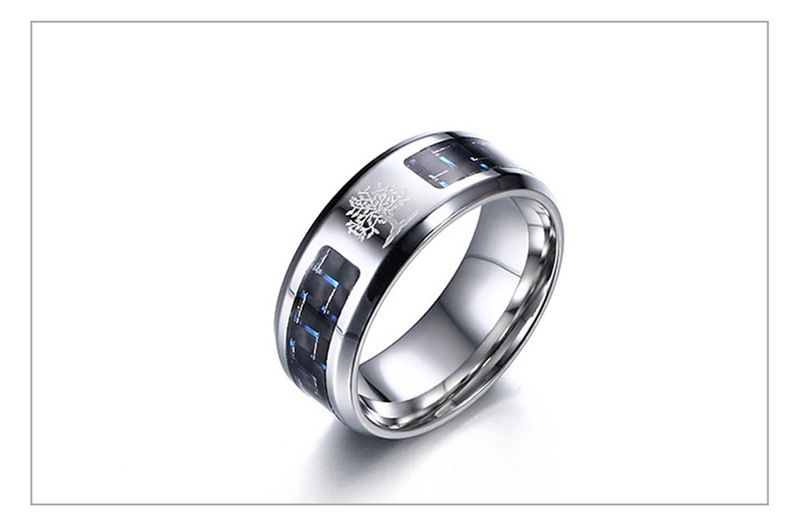 This is a beautiful trendy and shiny Tree of life wedding ring men. 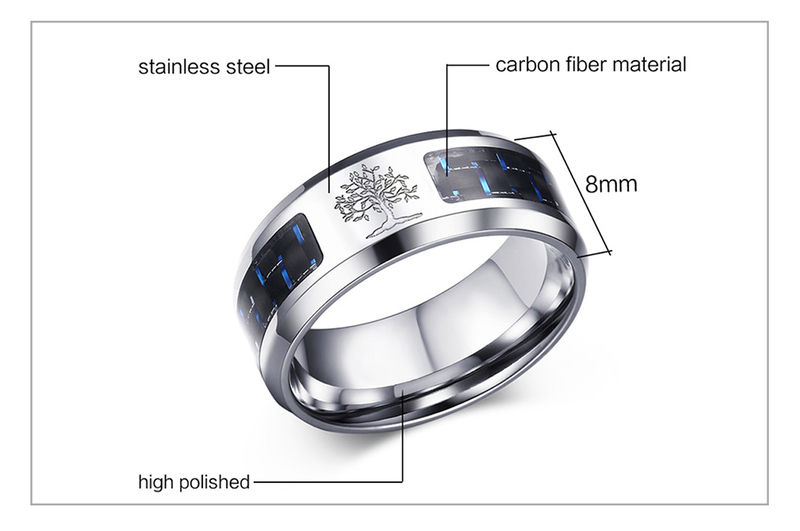 The beautiful and classy ring is made of a high-quality Stainless Steel base material and decorated with a colorful Carbon fiber line and "Tree of life" logo on top. 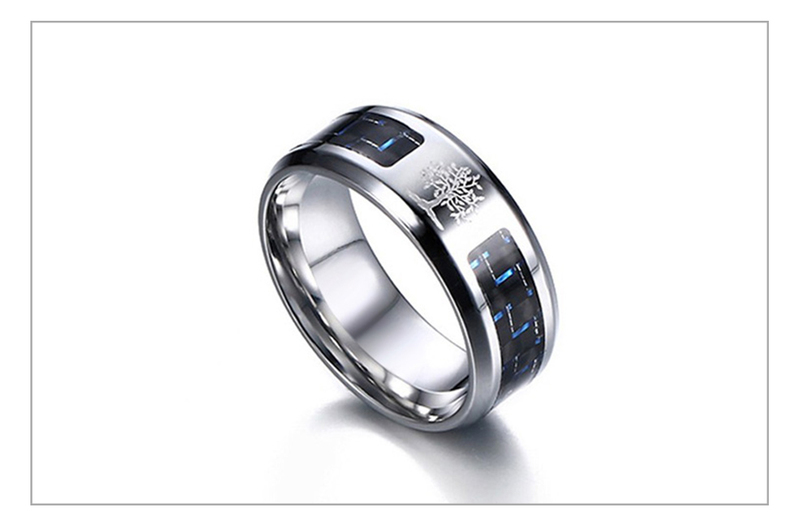 The beautiful men's ring can also be a smart gift idea for your beloved friends and family. 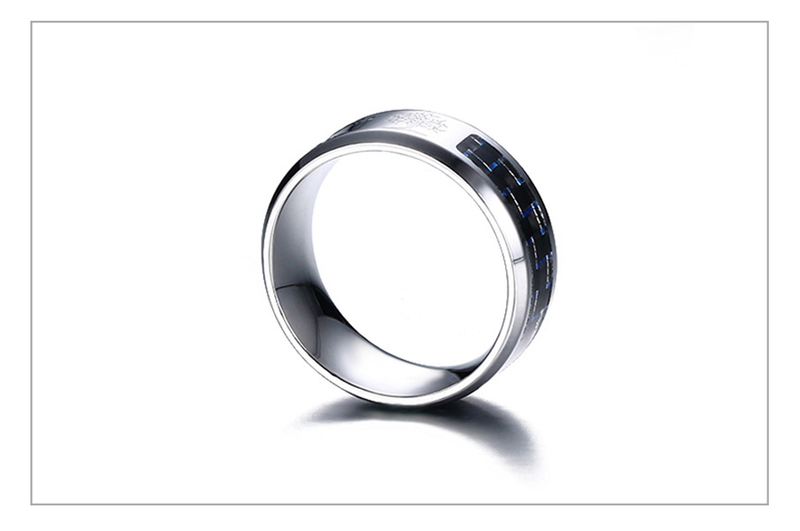 The fashionable wedding rings come in 8MM surface width and a prong setting. 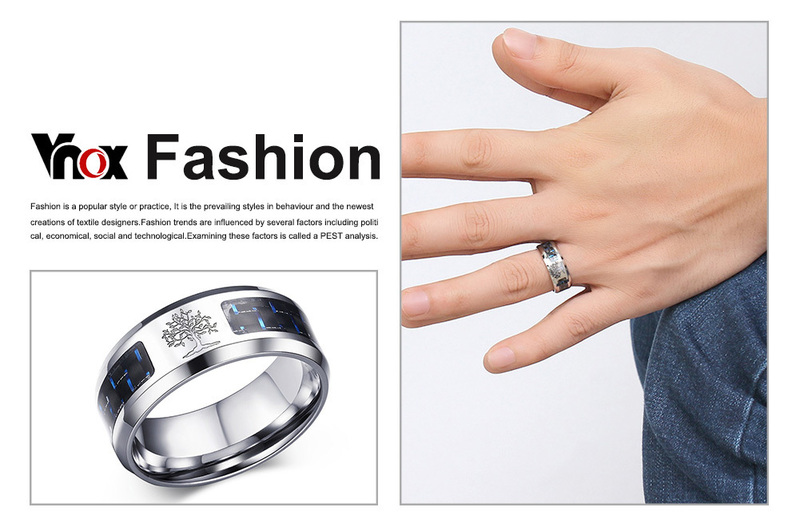 It is now available in 7 pattern variants with silver color for 7-12 male finger sizes.